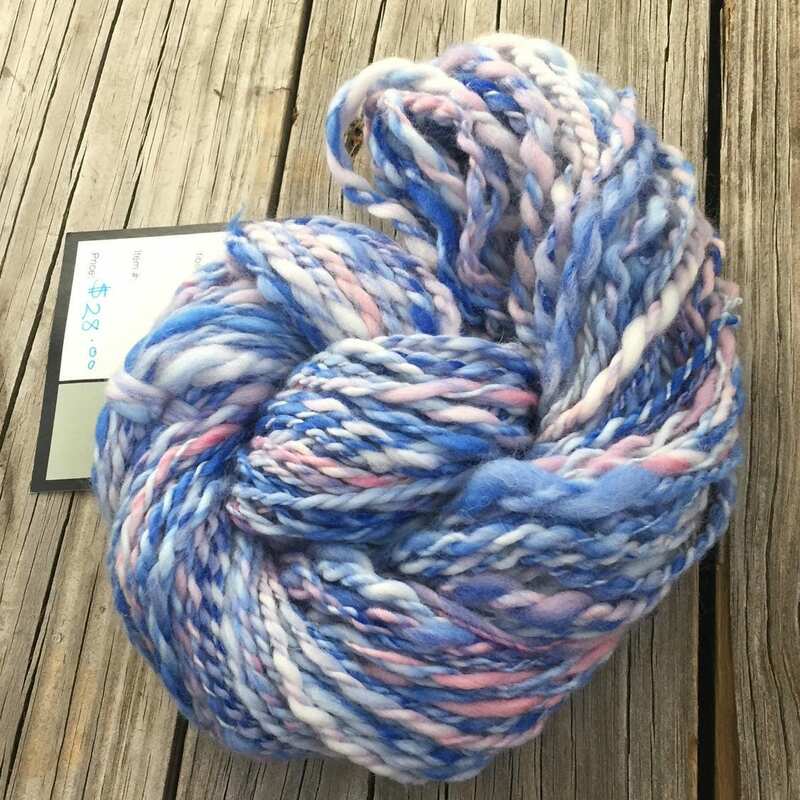 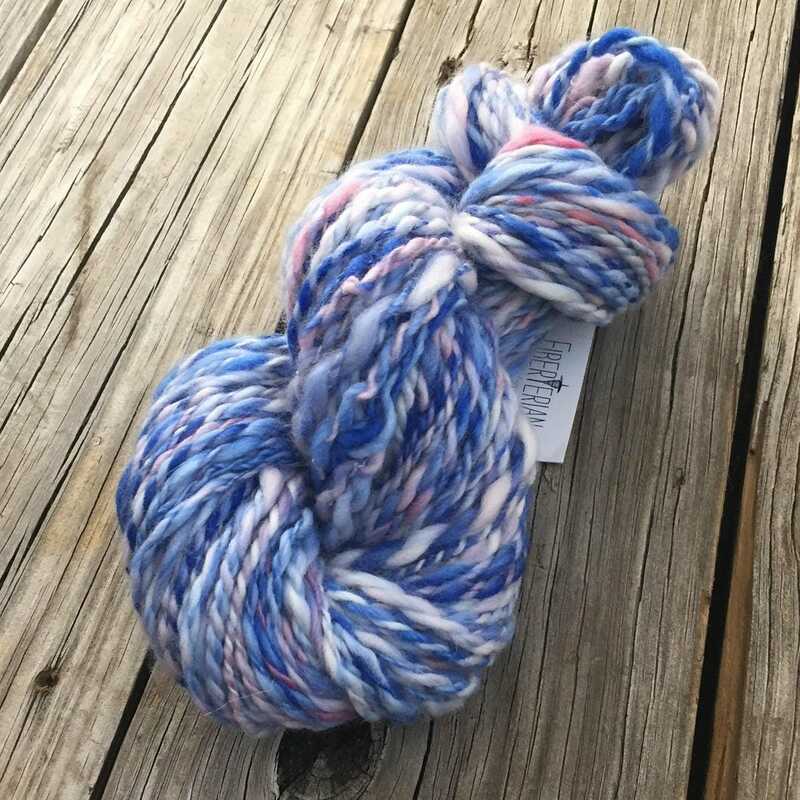 This gorgeous two ply yarn was spun from super soft hand dyed merino/tencel fiber and has shades of baby blues, sky blues, hints of royal blues and little accents of pink and cream to even things out. 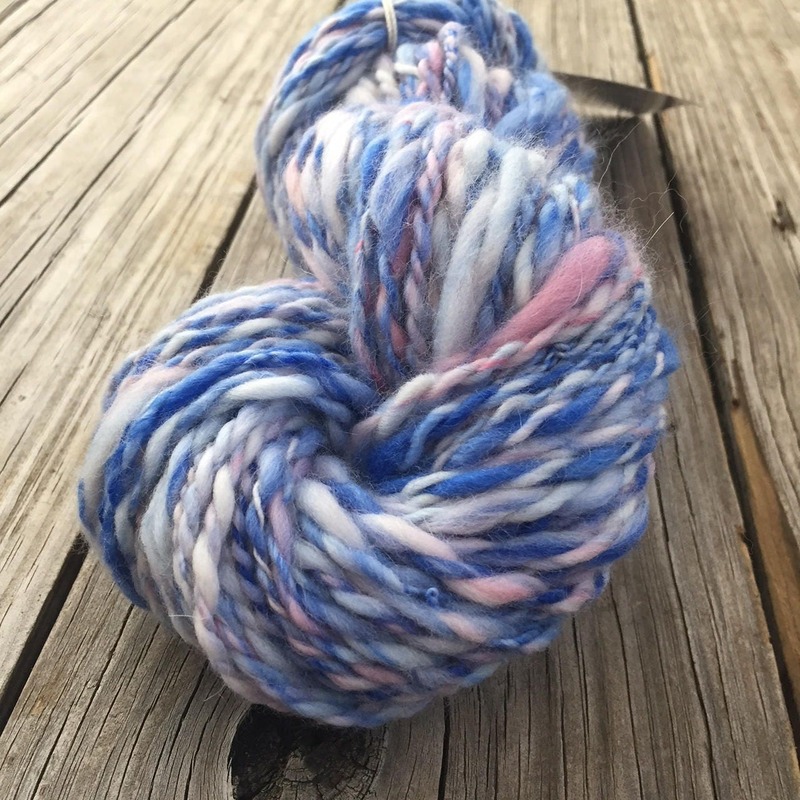 It's really beautiful! 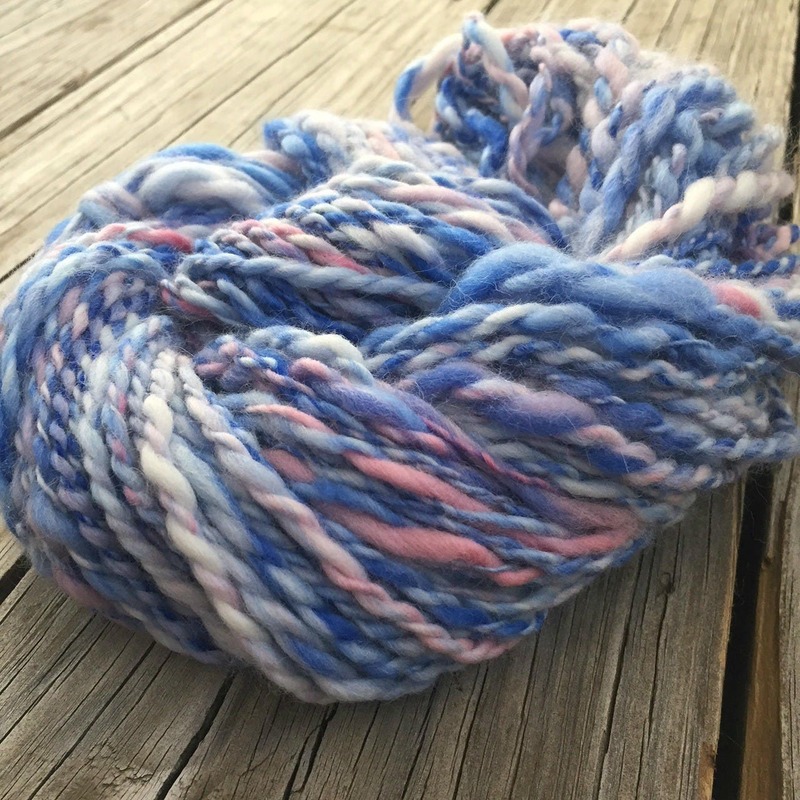 This yarn has a nice squoosh factor and is SUPER SOFT! 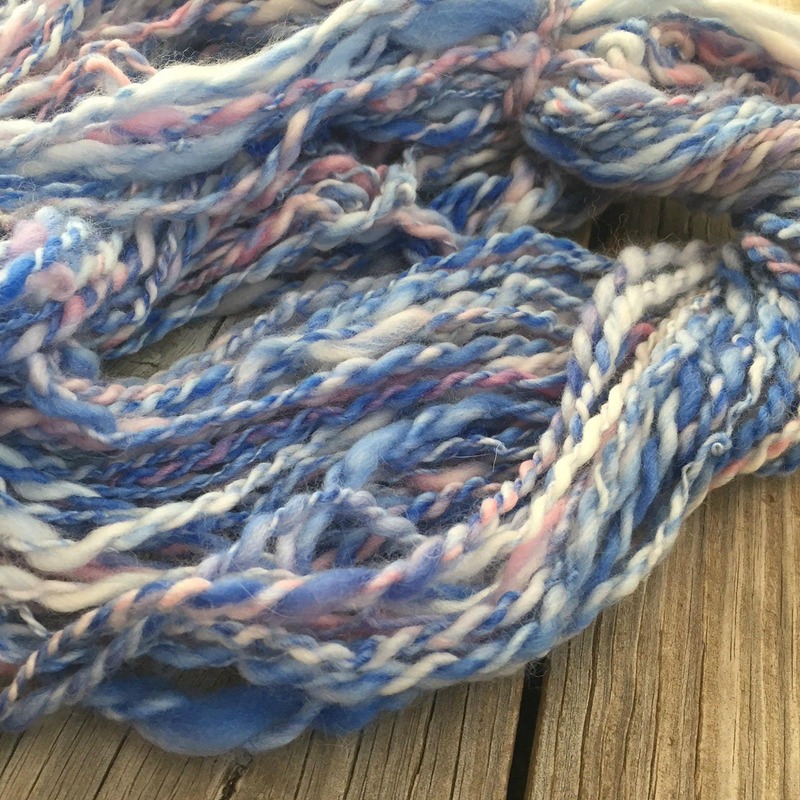 Would be perfect for next to the skin projects like cowls, hats, or as accents combined with a bulky commercial yarn.